Are sleep problems making your life a misery? A client recently described insomnia to me as ‘a real affliction.’ There’s no doubt that if your sleep is disrupted in any way, you can end up feeling irritable, fuzzy-headed and, if it goes on for any length of time, like you are only operating at 10% of capacity. Insomnia takes many forms, but they are all equally draining. You might lie awake for ages while you try to get to sleep. You might wake up in the middle of the night and then not be able to get back to sleep, because of the thoughts racing round your head. You might wake up too early and stay awake, even though you feel you have not slept long enough. Whatever kind of sleeplessness you have, the end result is dragging yourself out of bed in the morning feeling groggy and weary. As time goes on, you begin to dread going to bed and you worry that you will never be able to have a refreshing night’s sleep. You might have tried lots of different remedies, but none have helped. Maybe you have spent a lot of money on over-the-counter pills, teas, herbs and special pillows. You might have resorted to certain cold medicines, just to knock yourself out at bedtime. You may even have gone to the doctor for sleeping pills, but you are wary about taking stronger and stronger medication. Perhaps you are now resigned to living with the problem; you think ‘I’m an insomniac, that’s just the way I am’. The good news is that insomnia is not something you have to put up with and just learn to live with. This is particularly good news as sleep is such an important part of our health and well-being, both physically and mentally. In sleep the body heals itself and the mind regains its sense of perspective. Lack of sleep can weaken the immune system, making you more susceptible to illness. Constant tiredness affects our ability to concentrate, making it difficult to think clearly at work and to have a full and active life at home. 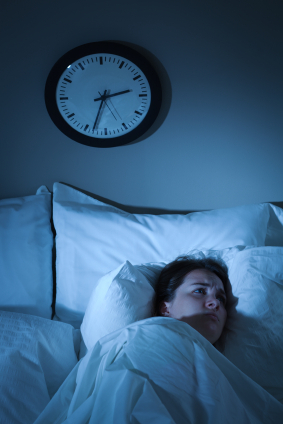 How can hypnotherapy help with sleep problems? The more you worry about not sleeping and get anxious that your work, your health and your relationships will suffer, the more you will have problems sleeping. It really is a vicious circle. You’ll learn how to drift comfortably off to sleep when you go to bed and if you wake up in the middle of the night. Waking up feeling refreshed, clear-headed and full of energy for the day to come really is a possibility. For more information about how to get a good night’s sleep again, contact Anne Williams.